Kraftwerk’s music will come to life in Buffalo all this week thanks to the Kraftwerkers of Buffalo event. A host of musicians from around the area will take a stab at re-interpreting select works from the German groups’ catalog in honor of the MOMA retrospective happening next week. See the list of events below for more info. 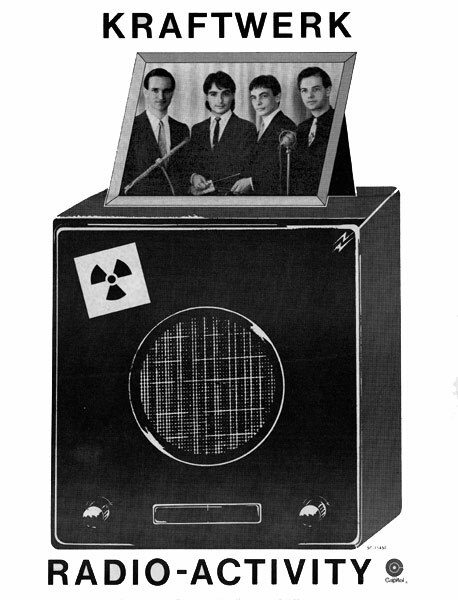 To get you ready for it here is a cover of Kraftwerk’s 1975 track “Radioactivity.” The song is covered by German artist WOLKENKUCKUCKSHEIM. You can catch a performance of the Radio-Activty album at Hardware’s Backroom on Wednesday by Martin Freeman and TJ Borden. This entry was posted on Friday, April 6th, 2012 at 12:53 PM	and tagged with Buffalo, hardware, kraftwerk, kraftwerkers of buffalo, martin freeman, the back room, tj borden and posted in free music friday. You can follow any responses to this entry through the RSS 2.0 feed.